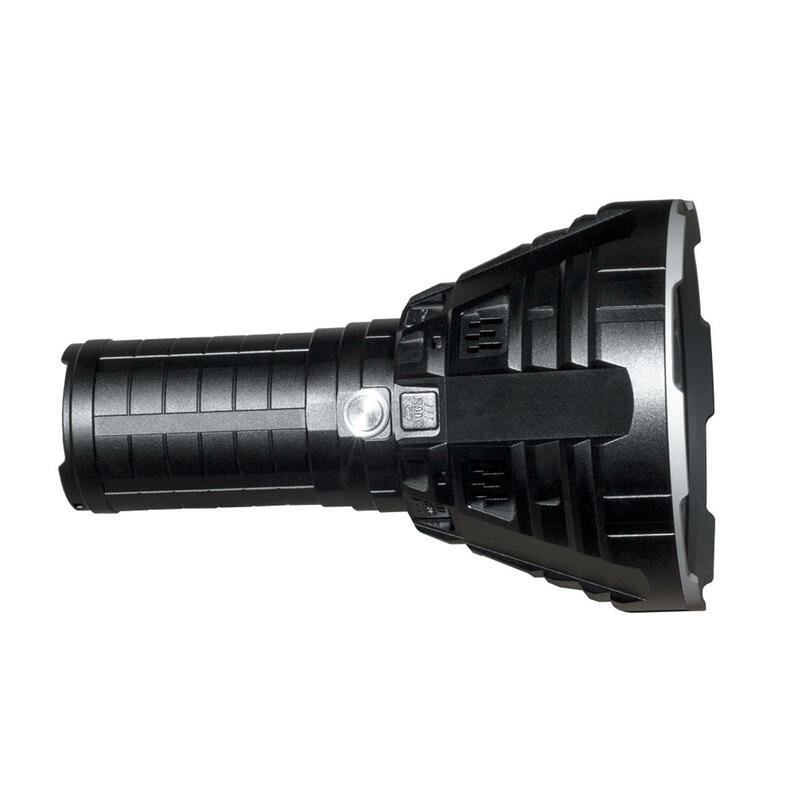 Utilizes 9 pieces of American XHP35 HI LEDs, with a lifespan of up to 5000 hours and a maximummaximum output of 18000 lumens. High efficiency constant current circuit maintains consistent brightness. Combination of toughened ultra-clear mineral anti-reflective coated glass. Aerospace-grade aluminium alloy body, wear-resistant Type Ⅲ hard-anodized surface treatment.